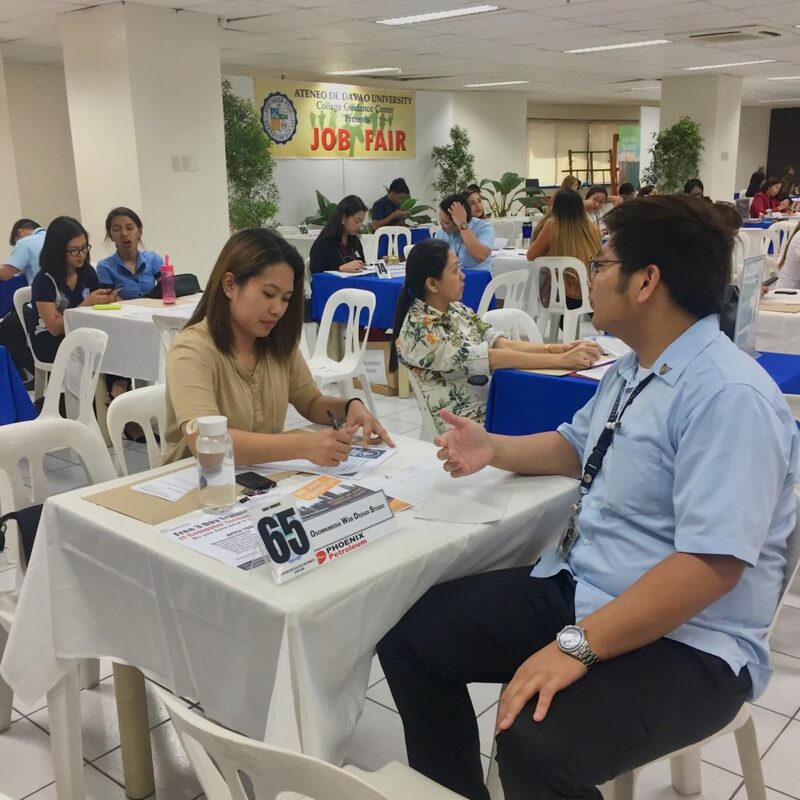 The Ateneo de Davao University, in coordination with the Ateneo Career Center and Alumni Hub and the College Guidance Center, held a job fair at their Jacinto Campus last February 15, at the 2nd floor, Room F213 of the Finster Bldg, Davao City. The event drew more than 98 participating local companies with hundreds of job positions available. 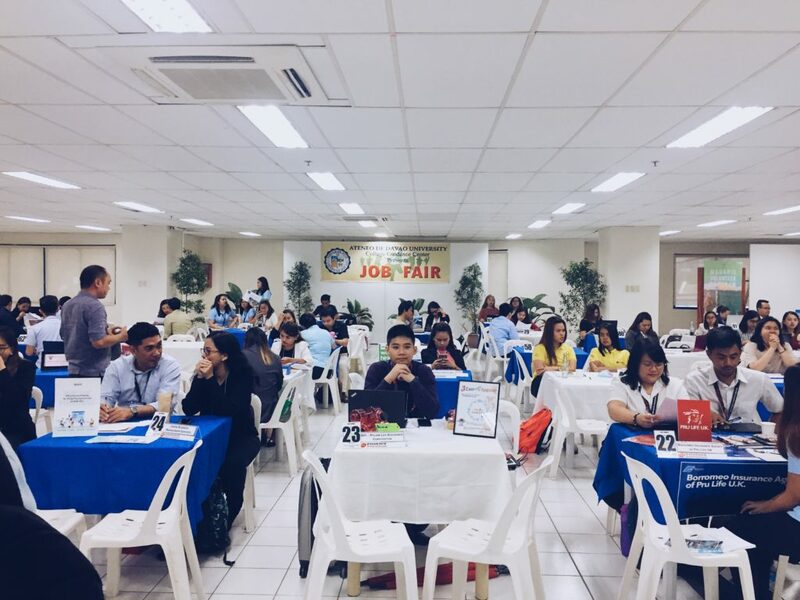 As part of their Career Center’s aim to provide comprehensive career services to its students and alumni, and the College Guidance Center’s Comprehensive Career Guidance Program, this activity will hopefully provide their graduating students and alumni a venue to experience job search procedures, explore various employment options and a chance to be placed in a job. The OSOmniMedia Design Group, specializing in IT, design and development services in Davao, was one of those participating companies. Aiming to continually expand and recruit the best designers, coders and developers in and around the City, Team OSOmniMedia joined the event to support our local school partners by providing their students an avenue for them to showcase their skills and talents. 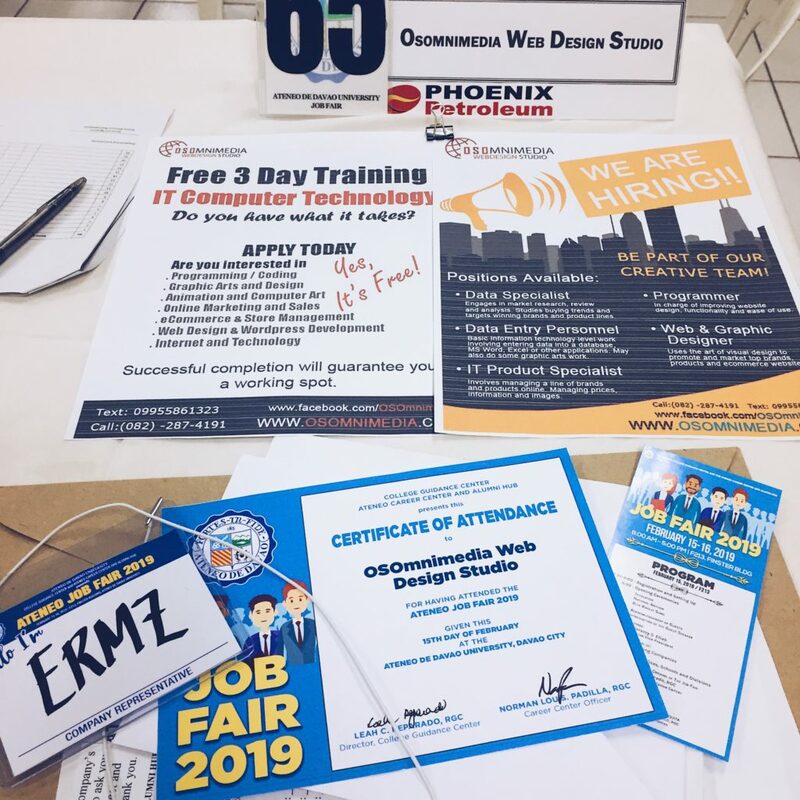 Don’t worry if you missed us at the job fair, you are always welcome to come by our office and/or submit your application and credentials at our Career Page. Want to schedule a job interview through Facebook? Now you can! Just click on this link and select a time and day that is convenient for you. Next Post Next post: Hats off to our student intern Kirk for successfully completing OSOMniMedia’s OJT Program!